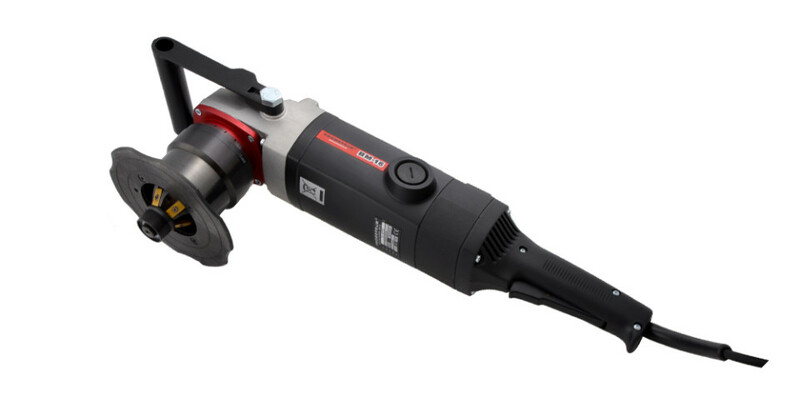 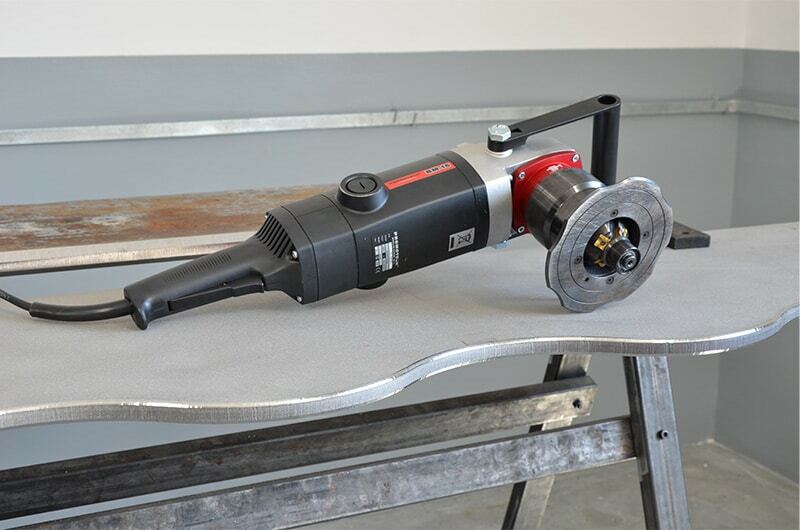 Portable, handy beveling machine is designed for milling edges of plates and pipes made of steel, aluminum alloys, brass, or plastic. 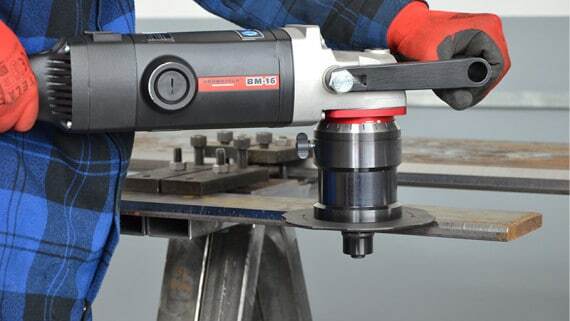 Depending on the chosen milling head the machine enables beveling materials with minimum thickness of 1.5 mm (0.06’’) at the angles of 22.5°, 30°, 37.5°, 45°, 55° or 60° and with maximum bevel width of 16 mm (0.63’’). 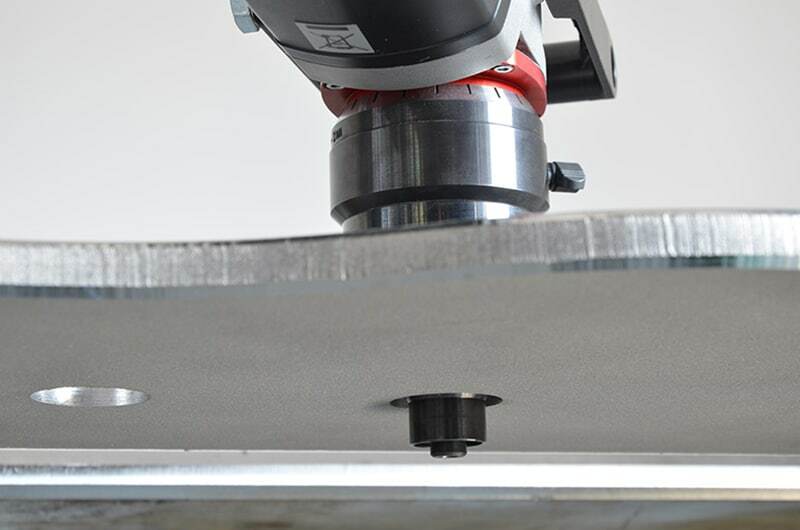 Each milling head uses 5 indexable cutting inserts. 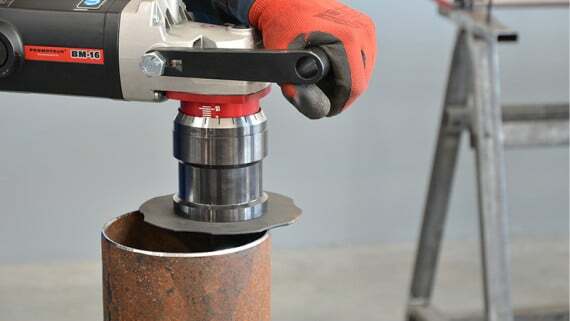 One milling head for beveling radious enables beveling edges with radius of 2, 3, 4 or 5mm with use of 4-sided indexable R2, R3, R4 or R5 cutting inserts. 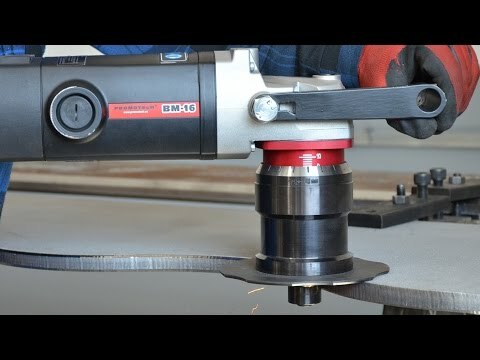 Countersinking of holes with minimum 40 mm (1.57’’) diameter is also possible. 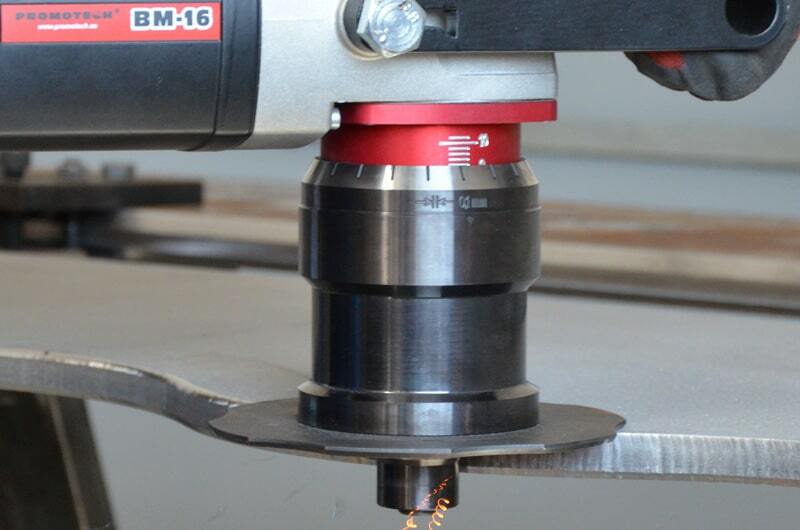 BM-16 is equipped with continuous bevel width adjustment, overload protection and electronic speed control for use on a variety of materials.